Solid device but we have a feeling potential buyers would've preferred a Snapdragon 625 on this over the entry-level 430 and 435. Asus are on a roll. The Taiwanese manufacturers are on something akin to a streak, one that started with the release of the Zenfone AR a few weeks ago. We recently reported a list of Asus devices on the incoming queue, with all six listed devices being variations of the flagship Zenfone 4. The first of those has been unveiled, and it's rather interesting. The Zenfone 4 Max, if the name wasn't enough indication, is meant to be battery-centric—which is, by all standards, a positive but only if performance isn't left behind. Unfortunately, the Zenfone 4 Max does just that. It's a decent device in all other aspects but raw performance power. Also, it ships with a 10W charger, which is rather inadequate for charging a battery of that size. On the flip side, it features a non-hybrid dual sim slot, which means you can use both of your sims and a MicroSD at the same time. 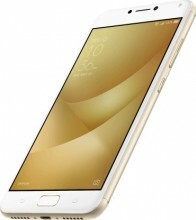 Global prices are unconfirmed but the model with a Snapdragon 425 and 2/16GB is expected to retail for $235 in Russia. Pricey.